Held under the sponsored of Samsung , and officially opened by Erbil Governor- Mr. NAWZAD HADI and Iraq Minister Of Commerce - Mr. KHEIR ALLAH HASAN BABAKER. Previous edition show has seen great attention from exhibitors and visitors from across the globe. For four days, the bests of the industry came together under one roof for mutual benefit and growth. 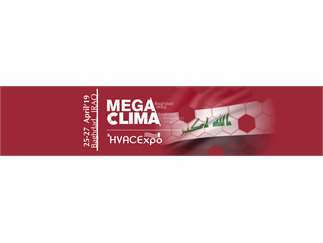 Hvac Expo was completed with the participation of 83 companies from 11 different countries. Most of them have gotten strong oppurtunities to establish new business partnerships and investments in an effective way. The development and implementation of an appropriate infrastructure and urbanization projects enabled new initiatives in the sector of air conditioning, heatingcooling and ventilation. So Iraq HvacExpo has been getting stronger consistently and therefore has becoma one of the most succesful exhibition in IRAQ.